Electorates in the Cayo North Constituency will be going to the polls on January 5, 2015 to elect a new Area Representative following the unexpected resignation of Honorable Joseph Mahmud from Parliament. In October, the People’s United Party (PUP) elected representative informed his party that he would not seek re-election, but would have served his remaining term in office. However, Mahmud changed his mind, and without notifying his party, resigned, effective immediately, on November 24th. It is a political blow to the PUP, especially since Mahmud had given his assurance to PUP Leader Francis Fonseca that he would serve the remainder of his time in Parliament and even assist in finding a new candidate. It is uncertain what caused the decision not to seek re-election and or the resignation that brings his political career to a short and unexpected end. Mahmud snatched the stronghold seat from the United Democratic Party’s (UDP) Salvador Fernandez in the 2012 General election when he won by 397 votes. But that accomplishment is null, since Mahmud’s immediate resignation from Parliament as the duly elected Area Representative, makes his seat in the national assembly immediately vacant. According to Fonseca, he was not warned beforehand and that Mahmud’s decision reflects on him. “We would not have wanted Mr. Mahmud to resign. I wanted him to serve out his term with integrity and dignity and working on behalf of the people of Cayo North as best as possible given the challenges, but he made a decision, I've already said that I feel that that decision he made reflects poorly on him and that's where I think it stands - it reflects poorly on him. I don't think it reflects poorly on us as a party." That vacant seat, which must be filled by 90 days, triggers a bi-election in Cayo North Area. In accordance with the constitution the Head of State representative of Belize, the Governor General (GG) His Excellency Sir Colville N. Young Sr. issued an Election Writ on Tuesday November 25th, in which he announced the dates for nomination and bi-election. The Writ of Election has set nomination day for Monday December 15th. 21 days after, on Monday January 5, 2015 a bi-election will be held in Cayo North in which the vacant seat will be filled. The two leading political parties have to be ready when the GG issues the Election Writ which gives them a minimum or 15 days or a maximum of 21 days before the bi-election. 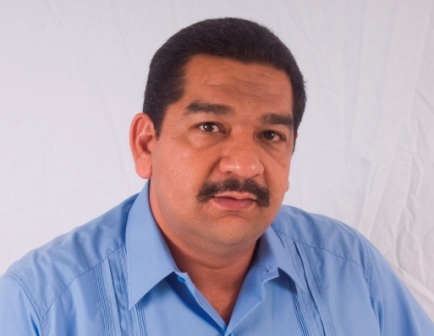 While the UDP has elected Dr Omar Figueroa as their standard, the PUP is yet to identify who will be their candidate. They had originally hoped to have had that candidate by January 2015, but with Mahmud’s unexpected decision, the PUP is forced to have their candidate within 15 days in the worst-case scenario. Two names have surged as possible candidates for the PUP, including well-known Attorney Michel Chebat and well-known businessman Richard Harrison. PUP leader said that they want to avoid going to a convention at this time given the change of events at short timeframe. “Is it in our best interest to simply endorse one of the two candidates who have applied and move forward with that candidate, given the urgency and the time, the very short timeframe that exist. And then we have to engage in a very intensive four-five-six week's campaign in Cayo North. We will never be able to challenge the UDP when it comes to money, they are rolling in serious money as you know, but we have to put up a very strong, spirited campaign," explained Fonseca. Mahmud’s decision is also making history in Belize’s politics. That is because since 1981, there has only been two bi-elections that have been called - the two were forced by circumstances. The first was to replace Derek Aikman in Freetown in 1992 after he was forced to step down after declaring bankruptcy. The second was October of 2013 in Cayo South which was forced by the death of Agripino Cawich who lost his fight with cancer. But this is the first time in Belize’s political history that a bi-election is being called by the voluntary resignation of a parliamentarian. Political observers believe that PUP will fight to retain the PUP seat in Cayo North that will keep the UDP on their toes with a very slim majority in the House of Representative. But the UDP will try to regain the UDP strong hold to stretch their slim majority and to check and flex their strength ahead of the municipal elections scheduled in seven towns and two cities on March 4, 2015. The San Pedro Sun will keep following this story as it develops.